We’ll begin with St. Paul’s of Silver Creek, because it is the oldest of the three. Silver Creek is located on highway 144, in Sherman Township, Sheboygan Co. WI. It was during the year of 1868, that a group of Christian pioneer immigrants from Saxony, Germany settled in and around the area now known as Silver Creek. These Christian pioneers decided that their community needed a spiritual place of assembly to worship so they could thank their God, in their native language, for the blessings bestowed upon them in this new world of freedom. The first worship services were conducted in the homes of the charter members. The charter members were: Gottlob Stuehler, Friedrich Mehlos, Heinrich Risse, Wilhelm Schroeter, Herman Seifert, Edward Mehlow, Gottlieb Seifert, Julius Siefert, Carl Hohlfeld, Cristoph Hartmann, August Scheunert, Carl Tessner, Johann Jacob Hartmann, Henry Kraetsch, Karl Keil, Heinrich Heinemann, G.F. Moehrl, August Firme, Gotthelf Risse, Friedrich Seiferet, Ernst Ritshuster, Christian Hansmann, Charles Thieme, and Theodore Rietz. The first pastor of St. Paul’s congregation was the Rev. J.H. Bierbaum, who served from 1968 to 1871. (Rev. Bierbaum was also serving a congregation in Fillmore at the time) Rev. Bierbaum was from a Lutheran background and was instilling his Lutheran doctrine. In 1871, the president of the Wisconsin District of the German Evangelical Synod of North America, realized that there was not a pastor of the Evangelical Synod in this area and immediately asked Rev. Julius Frank to come to Wisconsin and serve these churches. With the coming of Rev. Julius Frank, many of the congregation in the area called upon him to be their first Evangelical pastor. This not only included St. Paul’s of Silver Creek, but also churches in Saukville, Random Lake, Waubeka, Fillmore, and later our St. John’s of Beechwood. Rev. Frank was a great inspiration to these Evangelical churches The Evangelical denomination was the forefather to our New Horizon. The desire to have a bell in the tower inspired Gotthelf Risse, a charter member, to make a trip to Germany to purchase a bell from the Bechumer Verein Gusstahl Fabrik for which he paid $500.00. It was his donation to the new church building. In the early 1900’s, St. Paul’s built a parsonage for the pastors and their families. St. Paul’s continued to grow under the leadership of Rev. Frank. After his departure, many pastors served both St. Paul’s and St. John’s of Beechwood, and later St. John’s of Boltonville. A listing of pastors is recorded here, but also note that all of these pastors not only served St. Paul’s and St. John’s but also a third and sometimes a fourth congregation as well. This ends the list of pastors for St. Paul’s, Silver Creek, St. John’s of Beechwood, and St. John’s of Boltonville. Rev. Robert Seater continues being interim pastor for New Horizon when needed. St. Paul’s congregation grew in number and spirit. It did the ministries as all Evanagelical churches did. Foremost was the founding of a Sunday School, which at times numbered in the thirties. By 1900, St. Paul’s could be boasting about all their musical talent. They had choirs for men, one for women, one for men and women, junior choir and cherub choirs. These groups would very often present concerts and with the contributions they received, they purchased the outdoor sign, altar and floor candelabras, altar cross, and many other needed items. Rev. Kuno Kuenne organized the Women’s Guild in 1922. Rev. Kuenne, who served the three churches for over 22 years left an everlasting and sincere Christian influence on the churches. In 1929, the church building was enlarged by adding the addition to the north. The altar was replaced, and the pulpit was lowered. Six ornate glass windows were donated to add beauty to the church. By 1941 a very active youth group was in progress. Usually the youth groups from all three churches combined their activities. During the 1940’s, our three Evangelical churches merged with the Reformed denomination and then went under our new name: Evangelical and Reformed Denomination. By the 1950’s discussions were began to try to work out plans to work together under one church, but it seemed this was not the time for such a plan. In 1951 the new beautiful Hammond organ was purchased. 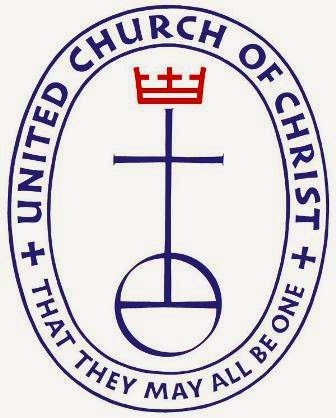 In 1957 St. Paul’s Evangelical and Reformed congregation merged with the Congregatonal Christian churches and at time, we became known as The United Church of Christ Denomination. In 1975, a plan called the Five Star Parish was put into practice. It was an effort to try to unite some of the churches. The Rev. John Klindt accepted the call to be the first full-time pastor and to assume the duties of administrator of the Five Star Parish, and to be responsible for the Fillmore and Random Lake congregations. Rev. Becker was hired as the second pastor for the Five Star Parish, and when he retired, Rev. Kesting was hired. Rev. Kesting was in charge of the Boltonville, Silver Creek and Beechwood congregations. When the Five Star Parish dissolved, Rev. Kesting remained serving our three churches. All during the years, each church kept up their building’s appearances. However, it was evident that enrollment of all three churches had been declining. Again discussions to merge the three churches were held, but again no action was taken. So the three churches continued on as best as they could, Sunday School attendance was down to just a few students. The Guilds had long been dissolved, and there were no youth groups. Financial records showed closing the doors might need to be an option. It was during the pastorates of Rev. Wiederanders and Rev. Seater, that serious thoughts of merging became a reality. Rev. Wiederanders had to retire due to the stress effects of a tragic car accident. During his term, a New Vision Task Force was organized. Their purpose was to explore the possibilities of a merger. In November of 2000, we were blessed to hire Rev. Robert Seater, who served the three churches as an interim pastor. Rev. Seater guided us well into the forming of a merger. The steps taken to form this merger, will be described later. St. John’s U.C.C. of Beechwood became the second oldest church that became part of New Horizon United Church of Christ. St. John’s was founded in 1887 under the direction of the Rev. Julius Frank. Rev. Frank had come to St. Paul’s in Silver Creek as early as 1868 and was helping that congregation grow. St. John’s of Beechwood was located in the hamlet of Beechwood, in the southernmost tip of Sheboygan Co. WI County roads A and S intersected right in heart of Beechwood. St. John’s was on the East side of County Road A. When looking out from the church balcony window, to the west, one sees the quiet and peaceful Beechwood Lake. Beechwood, too, as the same as St.Paul’s of Silver Creek was settled by German immigrants, and were farmers by heart and brought with them a strong religious faith. Prior to the formation of a congregation in Beechwood, the people had worshipped either in Silver Creek or Campbellsport. Distance was a great factor in attending these churches and travel was difficult during the winter months. The members of the congregation realized they had to form a congregation, and then consider building their own building. Rev. Frank helped the Beechwood people draw up their constitution in 1887 under the name of The German Evangelical St. John’s of Beechwood. The new congregation worshipped in the former District 10 School House north of Beechwood. In 1887, the congregation began the task of building their church. A charter member, Charles Koch, donated the ½ acre of land need to build their church. Charter member Emil Gessner was the head carpenter. The charter members were: John Krautkramer Sr. August Butzke Sr., Henry Berg, Peter Hammen, Henry glass, John Kraemer, William Lawrenz, Jacob Held, Emil Gessner, Charles Koch, Frank Schroeter, and Phillip Hammen. St. John’s Church was completed and dedicated Oct. of 1888. The church did not include the alcove chancel area nor did it have a basement. It was clapboarded and had pane-glass windows. In 1993, there was a need to insulate and put vinyl siding over the clapboards. St. John’s Congregation never became independent. It always shared its pastors as did St. Paul’s of Silver Creek. Pastors that served both St. John’s and St. Paul are listed in the history of St. Paul’s Congregation. The bell, which was purchased in 1897, has the following German inscription on it, “Evangelical St. John’s Church, Beechwood, Wis.” The bell is 42 inches in diameter and 32 inches in height. It was purchased from St. Louis, Missouri as we find that city printed on the bell. It had a distinctive loud clear tone to it. The church itself, originally a rectangular structure, could forever boast of its beautiful steeple above the bell tower. On top of the steeple was placed a hand carved wooden ball ornament. The ornament was approximately eighteen inches wide and three feet high. If it had any inscription on it, it is now too weather-beaten to tell. Above the wooden ball ornament was a rooster weather vane. Early pictures show this very distinctively. It is not known when the weather vane came down, but the wooden ornament had to be removed in 1993 after serving the congregation for 105 years. The ornament was so badly damaged by wind, lightning, etc. that it proved to be dangerous with the next wind. Sadly the ornament was taken down. The first windows consisted of several smaller rectangular panes of clear glass. The present beautiful stained glass windows were purchased in 1908. Each window has a stained glass picture pertaining to Christ in its center. In 1984, the windows were repaired and a Lexan safety covering was installed over the windows for protection. The original steps of the church were of wood, and then replaced with cement. And much later, a wheel chair ramp was added. Above the church entrance there is a half moon shaped stained glass window bearing the inscription, “Ev. St. Johannes Church.” The interior was initially covered with plaster, however, in 1908 a decorative tin facing was installed over the plaster which still remains intact. The entire ceiling was covered with this tin facing. The balcony remains in its original setting. It has a soft wood floor. The pews are those of its beginning. The present chancel was added onto the original rectangular structure in 1924. The present altar was purchased at that time and placed in the middle of the chancel keeping with the Evangelical tradition of an altar-centered church. It also had a very tall pulpit which was finally lowered in 1951. There is a beautiful stained glass circular window on the back outside wall of the channel. Also two smaller stained glass windows were located in the channel area. These three beautiful stained glass windows were removed when the building was sold, and placed into the new New Horizon Church building. In 1927, electricity came to Beechwood, so no more kerosene lamps were needed. In 1930, the members began the strenuous project of digging out a basement. With horse and dump wagon, the ground was hauled and dumped into the Beechwood Lake forming the pier. This major task was completed in 1931. Now the women could have a kitchen, a fellowship room for their meetings, and some classes met in the basement. Outdoor toilets were used up to 1956, when the congregation agreed to drill a well, provide a sewage system and install bathrooms. St. John’s congregation was very conscientious about keeping up the church’s appearance, but also served their Lord faithfully. From the very beginning, St. John’s supported a Sunday School, as did their sister church, St. Paul’s of Silver Creek. Music was an intricate part of the worship service as well. As long as the history of the church, there was choir music. There were adult choirs, junior choirs, and little children’s choirs. The Women’s Guild was organized in 1907 with 23 charter members. The Women’s Guild had many responsibilities, they promoted missions, served at all funerals and celebrations, held fund raisers and updated their kitchen, helped clean church, etc. Unfortunately, after 100 years, the membership declined to about 6 members before it had to dissolve. St. John’s had an active Brotherhood, from 1949, dispersed in 1965. The youth group met with St. Paul’s youth group. It too, in time dissolved. The St. John’s Congregation began as an Evangelical Church in 1887. In 1934, our congregation took part in the merger with the Reformed Denomination and were then called St. John’s Evangelical and Reformed Church. In 1960, our congregation again joined in with another merger. The Evangelical and Reformed church merged with the Congregational Christian Denomination, thus our new name and present name, St. John’s United Church of Christ. Unfortunately, this great congregation soon had to acknowledge the fact that they no longer could function. St. John’s U.C.C. of Boltonville is the youngest congregation of the three churches. St. John’s has an interesting history because it uses a building that predates its founding. Boltonville was a thriving community in the 1860’s and 1870’ and settled mostly by Yankees. These early settlers did not have a local church until a special meeting was called in 1872. They met at the hall of H. Bolton and Co. for the purpose of organizing an association for to build a church in the village of Boltonville. It was under the name of the Free Will Baptist Society of Boltonville with the understanding that all Orthodox denominations would have the privilege of holding religious service in said church when not occupied by the Free Will Baptist Society. In 1872, the Diesterhaupt brick building that still stands on the half-acre site on Scenic drive that was donated by George Lussenden became the home for worship by the Baptists. On June 3, 1873 the building was dedicated with the Rev.Dwight Moulton as the first pastor. The first organ was purchased in 1883 and the bell for the church was first purchased in 1888. The original steeple of the church was much higher but wind damaged it considerably so it was lowered to its present height. The Free Will Baptist Society worshiped in this church, but by 1900, the Yankees moved on and the church stood empty. From 1900 to 1905 no regular services were held in the building. The church stood abandoned until the death of a former member of the community in 1905. Desiring the use of the church for the funeral, the family called upon the community for help. The church was cleaned and temporary repairs were hastily made. During the funeral service, breaths were held in anticipation of falling plaster. Inspired by the community action, a German congregation was formed under the leadership of Andrew Kraetsch. It was known as St. John’s German Evangelical congregation and was affiliated with the Evangelical Synod of North America. This was the beginning of our third church that became part of our New Horizon U.C.C. Andrew Kraetsch William Voigt, Jr. The new congregation was faced with the task of renovating the church which had fallen into a sad state of disrepair. Roof boards and shingles were replaced, the interior was tinned and painted and a concrete porch was erected in front of the church. From 1910 to 1962 St. John’s of Boltonville shared their pastors with St.Paul’s of Silver Creek and St. John’s of Beechwood. Herbert Stemler as their pastor. Rev. Gordon Mineau served St. John’s Boltonville fromn 1969 to 1970. After Rev. Mineau resigned, there were several years, that St. John’s Boltonville were served by supply pastors. In 1976, the Five Star Larger Parish was begun which served St. John’s Beechwood, St. Paul’s of Silver Creek, St. John’s of Boltonville, St. John’s of Random Lake, and St. Martin’s of Fillmore. In 1981 the Five Star Larger Parish dissolved. Result, St. John’s of Boltonville and St. John’s Of Beechwood and St.Paul’s of Silver Creek became a 3-point charge under the pastorage of Rev. Elmer Becker (until he retired) then Rev. William Kesting served the 3-point charge. Rev. Kesting: served from Jan. 1978 to July 1989. From here on to present, St. Johln’s of Boltonville was served by same pastors as we find listed in the history of St. Paul’s of Silver Creek. St. John’s also had a very active Ladies Guild, St. John’s was also well known for their Mission Contributions. Missions were stressed above all. St. John’s also had an active Sunday School, but through the years, the membership declined to zero. St. John’s began with having youth groups, a brotherhood, dartball teams, and not to forget having a choir. The choir never dissolved. Music was considered a great addition to worship service, as it did in the other two churches. The three congregations continued serving their members faithfully, but the time had come that each congregation realized the end was coming. Unless some steps were taken to merge, each congregation would soon resolve. This did not come easy, to close the doors, was not a welcome thought. However, by early 2000, the matter did not solve itself. The planning of a merger was in the process. March 2001: New Vision Task Force Committee was formed to explore the possibilities of a merger. Rev. William Wiederanders was serving our congregation at this time. Unfortunately, Rev. Riederanders was in a serious car accident. Therefore, David Schleiter, who had been working with Rev. Wiederander, now took full responsibilities in caring for the 3-point charge. Rev. Widerander returned and served till October of 2002. Nov. 2002: Rev. Robert Seater came to serve the 3-point charge as an Interim Pastor. Jan. 2003: Search Committee was formed hoping to hire a full time pastor. Serving on this committee were: Wayne Gerlach, Marge Gessner, Richard Junge, Laurie Schulz, Nancy Malvick and Rex Bindrich. Jan. 2003: Each congregation was asked at their annual meetings, “If they favored a Merger?” It passed, but would still take a year before it would take effect. Jan. 2003: A Constitution Committee was formed: Joyce Gerlach, Robin Lemkuil, Bernice Wendel, Shirley Birkholz, Lauie Schulz, Leon Stange, Sylvester Krahn, Jean Krahn and Rev. Seater. Much work and time was spent by this committee, with Rev. Seater’s help to prepare a constitution with most accuracy. April 4, 2004. The merger went into effect. This was the Birth of New Horizon! A vote was also taken to choose a name for our new Merger. The name New Horizon was chosen unanimously. Now that we were one church, it was time to appoint a site committee. It was the hopes and prayers, that New Horizon would be able, in due time, to worship in a one centrally located site. The site committee worked hard and long. Various sites were discussed, dismissed, more sites brought forth to consider etc. After many meetings, several votes, the property located in the township of Farmington on Hwy 28, known as the TWC property was accepted. There was a building already on this property. It had been a toy factory, but with some modification, the building could be made to look like a church. It is already constructed with enough area to accommodate the present and immediate future needs of the congregation. The site provided parking and is visible from highway 144 and 28. It is located about 1 mile north of Boltonville. We are still in Washington County, although Sheboygan County lies immediately north. May 21, 2006: The final vote was taken and passed to purchase the TWC building and remodel it to our needs. July 21, 2006: Our officers signed the necessary papers to obtain a loan and the TWC building was ours. July 2, 2006: Voted and passed to sell the parsonage at Silver Creek. Sept. 2006: Agreed to sell Boltonville church. (this sale did not pass). Much work was put in by all our members to clean and make a temporary sanctuary. See pictures in the New Horizon scrapbooks. Oct. 1, 2006: New Horizon held its first service at new location in the temporary set-up. Search committee still searching for full time pastor. Rev. Seater is doing a great job as our interim pastor. April 2007: Congregation voted to accept and hire “ForEver Rafter” contractors with Dan Werbelow as lead person. May 2007: Beechwood church put up for sale on E-bay. May 2007: Removal of Beechwood Church bell. Also three stained glass windows from the Beechwood Church Chancel were removed and will be used in our new church. July 22, 2007: Removal of Bell from Boltonville Church. Oct. 2007: Fellowship Room Completed, and held worship services there while sanctuary was being completed. Dec. 23, 2007: First Service held in our newly beautiful completed sanctuary. Dec. 30, 2007: Rev. Dave Schleiter was accepted 100% by the congregation. He began his service in February of 2008 and resigned, efective December 31, 2018. Rev. Seater had his farewell service also in Feb of 2008. He served us well. Rev. Dave Schlieter had his farewell service on December 30, 2018. He served us well.